Hot Chicken plate with Southern greens and Hoppin' John. Wed.-Sun. 11 a.m.-4 p.m. (Closed Sundays). 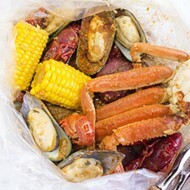 When news broke that Mike Emerson and Rick Lewis were teaming up to open Southern, you would've thought the city's culinary intelligentsia had gotten a collective vision of the second coming. Emerson — or "King Midas" as he may as well be called — is about as revered a figure in the St. Louis food community as they come. 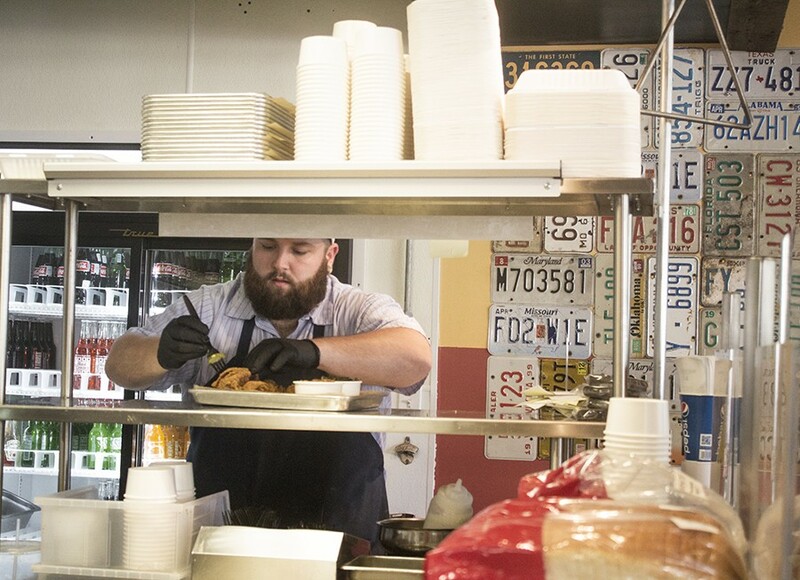 The pitmaster of Pappy's Smokehouse, Emerson and his trademark beard put our city's barbecue on the world map. Celebrities stream into his midtown smokehouse to sample its ribs. Michelin-starred chefs single him out as their pitmaster of choice. He has Adam Wainwright on speed-dial. Then there's Rick Lewis. The beloved James Beard Award-nominated chef is basically the crown prince of the city's next generation of chefs. He studied under fried-chicken guru Josh Galliano at the now-closed Monarch — a place that launched the careers of some of St. Louis' top talent. He's since been named Chef of the Year by our city's daily. Under his watch, the south-side comfort-food spot Quincy Street Bistro went from a simple tavern to one of the hottest restaurants in town. Which is why I had to take my mom to Southern. Not as a treat. Not as a thank-you for putting up with me through my teenage years. It was a way to keep me honest. See, my mom is a total outsider when it comes to the restaurant scene, completely uncorruptable when it comes to dining hot spots. She's the quintessential Campbell's soup casserole mom who loves to watch The Pioneer Woman on the Food Network and counts Bob Evans among her favorite restaurants. When I reviewed Old Standard last year, she un-ironically chimed in that she, too, had fried chicken that night — from Lee's. If anyone could keep me from getting caught up in the orgiastic fervor that is Southern — to judge it for what it really is and not get swept up in the hype — it's Mom. And then the unthinkable happened: Emerson and Lewis turned my mom into a fangirl. It didn't happen immediately. While it's easy to be charmed by Southern, it's not a comfortable family-style place like my mother prefers. 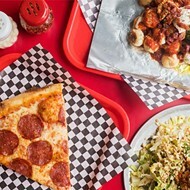 The fast-casual eatery is a marriage between the Nashville-style hot chicken shack of your dreams (think the famous Prince's) and a Deep South deli. The space has a haute-rustic feel, sort of like a butcher counter you'd find in the French Quarter: concrete floors, reclaimed wood and metal tables and chairs, and sepia-colored vintage photos. 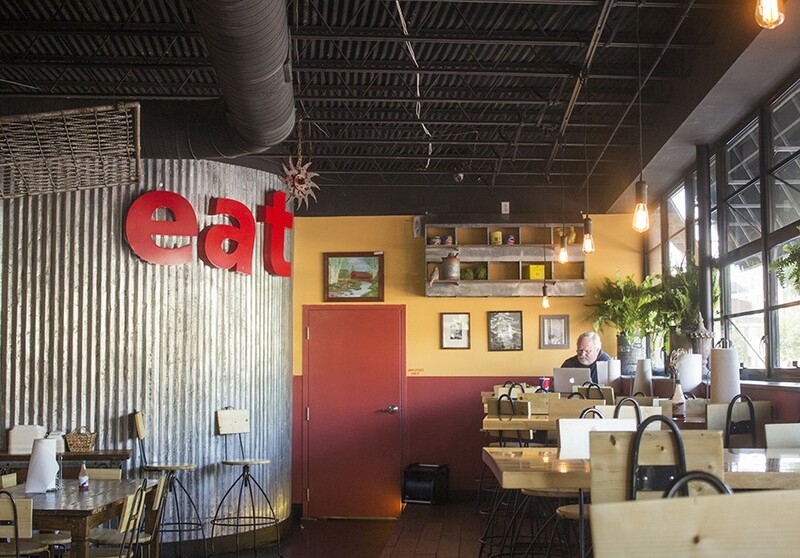 A bright red sign that simply says "Eat" hangs from a corrugated metal wall. 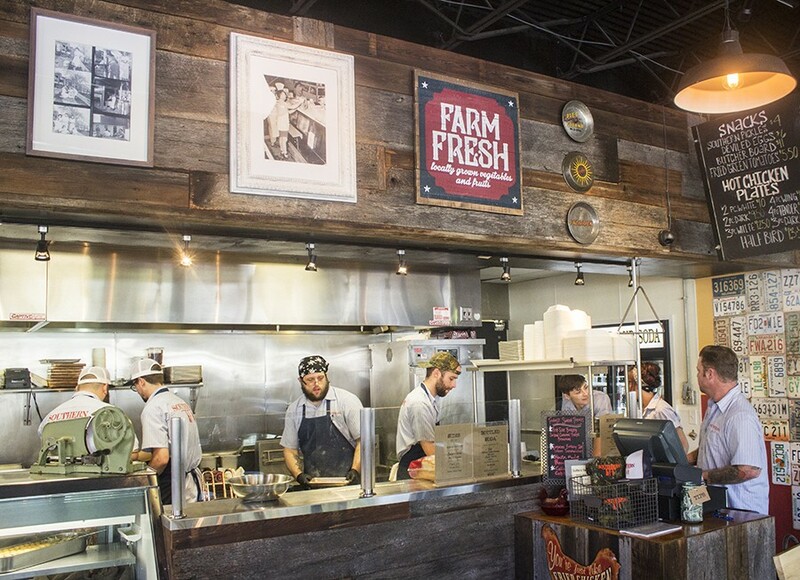 Diners line up — and, yes, there is typically a line — next to a glass display case that showcases various housemade foodstuffs. Deviled eggs with pimento cheese and pickled okra. But while it's lovely, it's also bordering on hipster, and that made it something my mom certainly did not appreciate. "Why can't I sit down before I order? 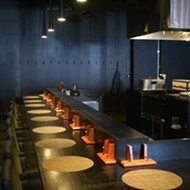 It's all high tables — I can't sit at those." As for the Band of Horses playing over the sound system, she was not impressed. "Why do they have to have that music blaring?" Mom was already proving to be a tough nut to crack. At a lesser restaurant, the scent of smoked meats wafting through the air from the adjacent Pappy's would be a siren song. Who could tuck in somewhere else after smelling that aroma, especially considering that the restaurant is so close you could reach out and pull a rib from the smoker? But at Southern, it's unnoticeable once the food hits the table. An order of deviled eggs proves why this once-humble picnic stable has become a mainstay on restaurant menus. 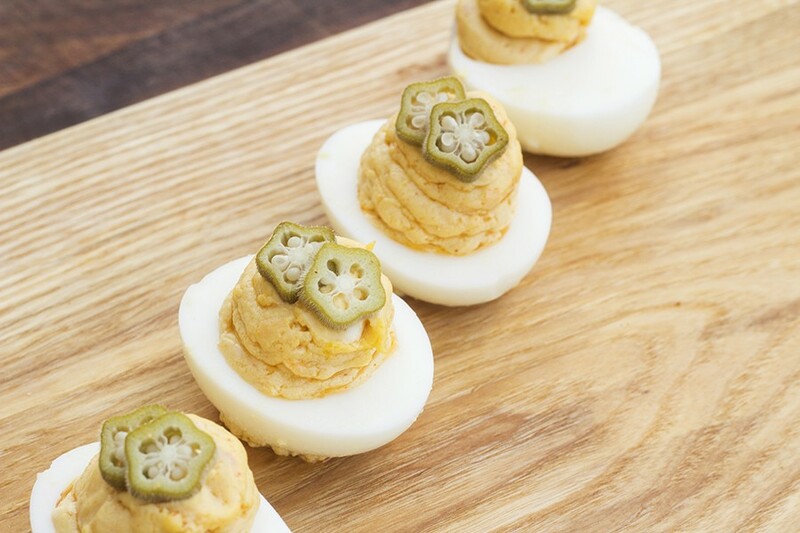 Here, they are stuffed with velvety pimento cheese and garnished with two tiny, star-shaped slices of pickled okra. Green tomatoes, dusted with seasoned cornbread, are fried just to the point of crispness without sacrificing the texture of the vegetables. They retained a perfumey snap, like fried sweet pickles. Chef Rick Lewis in the kitchen. 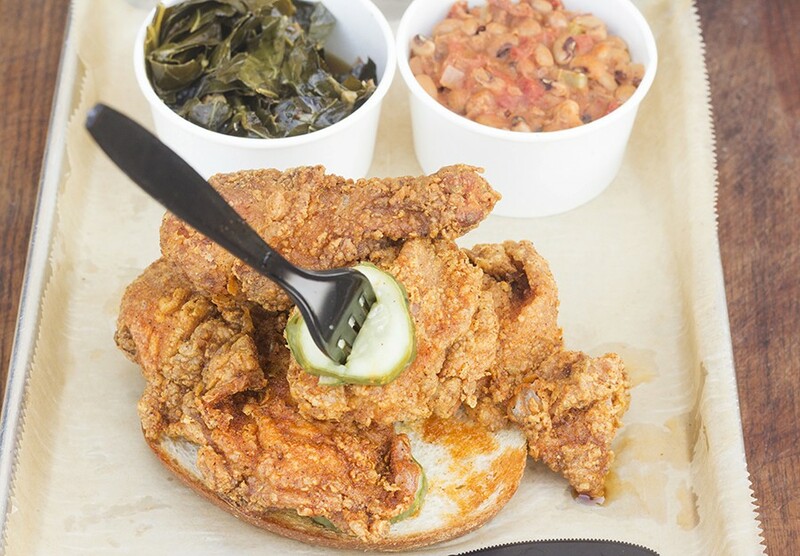 Though the fried chicken hogs the spotlight at Southern, its sandwich offerings are every bit as excellent. The "Dirty South," basically a fried green tomato BLT, pairs the tart vegetable with bacon so thick it could be mistaken for slices of ham steak. A handful of greens and a generous slather of Creole-spiced mayonnaise finish off this perfect sandwich. Meanwhile, mouth-puckering mustard cuts through layers upon layers of sugar-cured ham and smoked pork shoulder on the "Cubano." Gruyère cheese and sweet bread and butter pickles add a pungent kick. The "Gobbler" is the name of Southern's turkey sandwich, though it could also be a reference to how we looked eating it. The combination of slices of gently smoked bird, stuffing, tangy peach jam and herbed mayo is far better than any post-Thanksgiving sandwich I've had. And speaking of feasts, the chicken and biscuit is a contender for best sandwich in St. Louis. A buttery biscuit no less than five inches in diameter is cut in half, then stuffed with gravy-smothered fried-chicken tenders and shaved ham. I could have stopped here and declared Southern an exceptional experience, but then I would have missed out on the fried chicken. Oh, that chicken — a study in everything that is right with food. 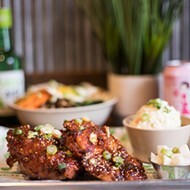 Southern offers it in several different styles: original; General Tso's, which is ginger and soy-glazed; and Nashville-style, which can be ordered mild, medium, hot and "clucking hot." 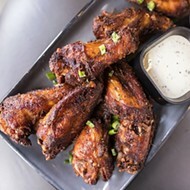 (Nashville-style "hot chicken," which is Southern's raison d'être, refers to the chilieoil sauce that gets doused on the bird after cooking.) Regardless of how you order it, you'll be treated to juicy meat and a thin layer of crunchy breading. My mom, not one to embrace spice, had the original and reveled in its textbook-perfect seasoning, juicy meat and crisp exterior. I ordered mine as individual pieces à la carte so that I could ask for each piece sauced individually. This way, I got to experience the range of Nashville-style spice levels, and I can confirm that once you get past mild, all bets are off. At a hiccup-inducing medium, my mouth was burning. At hot, beads of sweat started to form on my forehead. When I got to "clucking hot," there was probably smoke coming out of my ears. What's telling, however, is that though I was basically in pain, I couldn't stop eating it. That's because the spice was balanced by a subtle sweetness, as if the batter was sugar-coated. It wasn't sticky in the least — just a wonderfully nuanced spice blend that allowed the dish to have flavor rather than one-dimensional burn. Fortunately, I tried the side dishes before my palate was completely blown by the hot chicken. Mashed potatoes are rustic in style and covered in savory chicken gravy. The braised greens would make any Southern grandma proud. And the mac & cheese is outstanding — the creamy sauce and breadcrumb topping tasted as if pasta had been infused with the flavor of a Cheez-It. Heavenly. We ended the meal with housemade banana pudding. 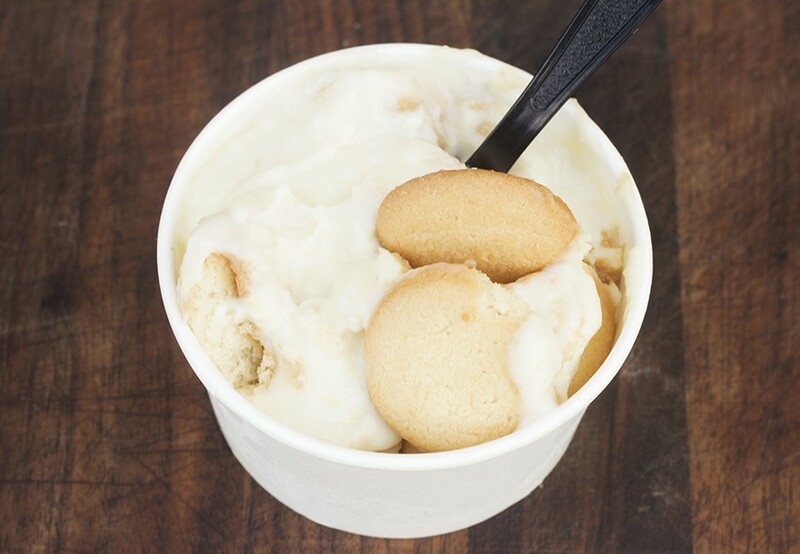 The luxurious, vanilla-infused dessert was the texture of custard, and a few vanilla wafers added crunch and whimsy. It was the only thing that could calm my burning mouth. As mom and I staggered out the door, we were so giddy we could barely speak in sentences. It was clear that she was a believer — not because of the hype but because of the unspeakably spectacular food. If Emerson and Lewis ever open another place, I can't take her as my voice of reason. She's completely under their spell.